Cuong has started to polish "Maintain". 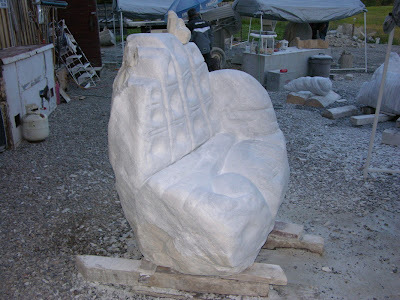 This sculpture will be utilitarian, the base will extend about 4 feet out in front of it and viewers will be able to sit on the hand and enjoy a coffee and the other sculptures. 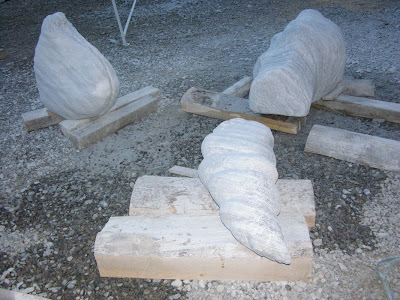 Vahe's shells are really becoming realistic, placed on an oval base this will be a beautiful landscape sculpture.